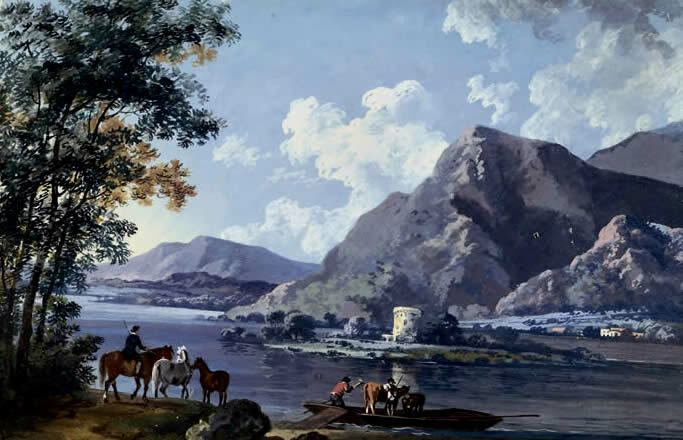 Our expertise and experience of Irish art and its history now nears forty three years in which we have been professionally conducting and directing both academic and forensic investigations into Irish art for clients around the world. 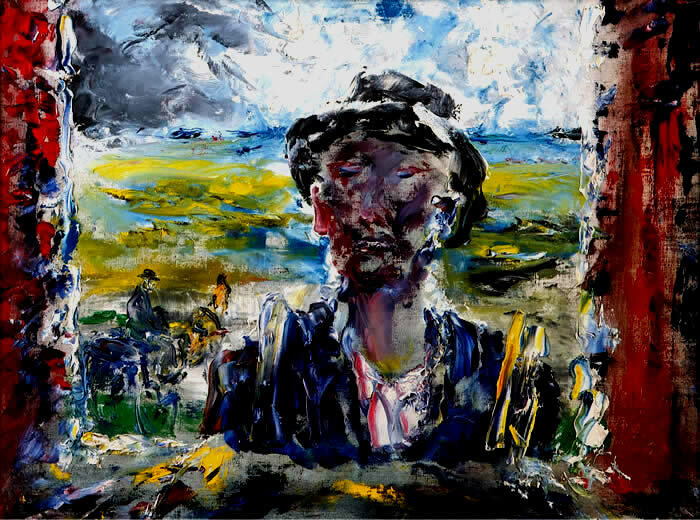 With a huge upsurge in recent years of the value of Irish art sold both at auction and in galleries in Eire and across the world, it isn't surprising that there has been an equal, if not greater occurrence of Irish art forgery and art fraud attempts and indeed criminal successes in the art market. When a good Roderic O'Connor impressionist painting can fetch well over £100,000 at auction and his most expensive work to date near a quarter of a million, is not that hard to fake, it is almost too much for the would be fakers to ignore. One believed to be Roderic O'Conor and others, said to be by Aloysius O'Kelly and Walter Osborne were withdraw from auction recently in Dublin with big question marks being raised over their authenticity. But many must surely have slipped through the net. 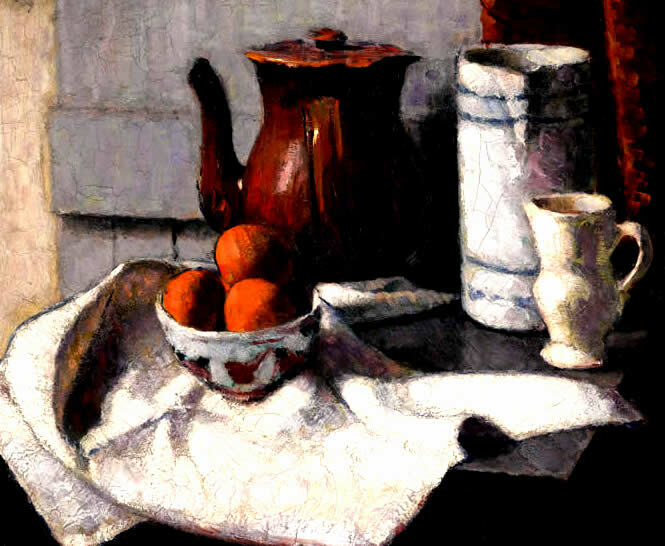 Serving the UK and Eire with over four decades of international experience dedicated to fine art authentication and the investigation of artist attribution, the Freemanart Consultancy are renown in their field as leading international art experts, uniquely specialising in the investigation of the legitimacy of works by all old and modern master artists, schools and studios, we investigate oeuvres from all manners and classifications, origins and genres of fine art and from all time periods. Our clear intent is to thoroughly investigate and establish a flawless case for our clients. One which can lead to the presentation and deliverance of an absolute and certain confirmation of authenticity that is accepted around the world. 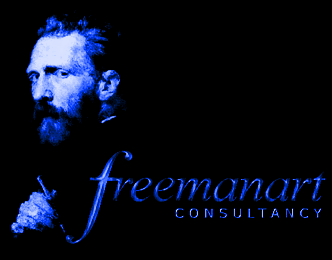 Freemanart undertake complicated in-depth archival and academic studies, forensic applications, procedures and analysis and administer and conduct delicate investigations into the background, history and provenance of works of art for our clients. Everything that is required in the pursuit of the authentication of a work of art whilst managing all the vital processes required in the establishment of a fully recognised, internationally accepted definition of legitimacy by conclusive finite underpinning. George Barret Snr. Ferrying animals across the lake at Windermere. 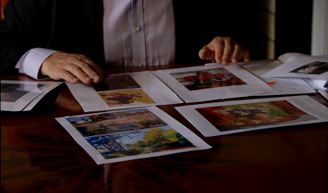 As fine art consultants working internationally, we are proud to have served clients from both the Private and Corporate sectors and enjoyed remarkable success in identifying many fake works of art and forgeries, uncovering and investigating art fraud and scams. In that respect we assist regularly in the investigation and pursuance of fraud and forgery, as well as scrutinising, investigating and advising on all art related due diligence matters. Our distinguished clients include; the legal fraternity, distinguished Law firms and Law Enforcement Agencies from all over the globe. 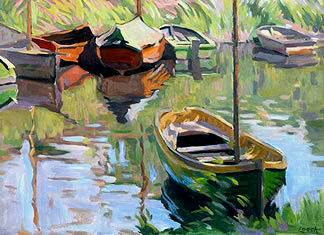 Principal, National, Regional, Municipal and Corporate Art Galleries, Collections. Museums, Auctioneers. Insurers, Loss adjusters, Art Dealers and Collectors. Alongside private investors & individuals from all walks of life. All who require the security and clarity that defines the true authenticity and legitimacy of a work of art. Striving to find the truth, good or bad, Freemanart offer vast experience in this specialised field alongside the sustained excellence of investigative quality. For confidential advise Contact us. William Leech, Sir John Lavery, Francis Bacon, Jack B Yeats, Sir William Orpen and Walter Frederick Osborne. William Scott, Frank O'Meara, Rowan Gillespie., Swanzy, Colin Middleton, William Conor, Gerard Dillon and Louis le Brocquy. Frederick Edward McWilliam, Tony O’Malley, Daniel O’Neill, Sean Keating, Leo Whelan, Tony O’Malley and Patrick Collins, Markey Robinson, Letitia Marion Hamilton, Harry Kernoff, Maurice C. Wilks and others. 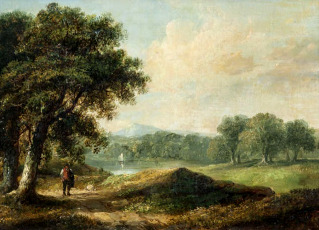 Ashford, William (Topographical Landscapes) Barret, George Junior (Watercolour Landscape Painter) Barret, George Senior (Landscape Painter), Barry, James (Neo-Classical History Painter), Beaufort, William Louis (Landscape Artist), Brocas, Henry senior (Landscapes, Engravings, Illustrator) Brocas, Henry junior (Engraver and Landscape Artist), Brocas, Samuel Frederick (Views of Dublin)Butts, John (River & Woodland Landscape Scenes) Campbell, John Henry (Landscape Painter) Carver, Robert (Landscape Art), Drury, Susanna (Watercolor Drawings of Giant's Causeway) Fagan, Robert (Portraiture), Fisher, Jonathan (Landscape Painter and Engraver), Frye, Thomas (Engraver, Portraitist in Oils & Pastels), Grogan, Nathaniel (The Elder) (Illustrator, Landscapes), Hamilton, Hugh Douglas (Portraitist), Haverty, Joseph Patrick (Illustrator, Portraits, Genres), Hickey, Thomas (Portrait Painter) Hone, Horace (Watercolourist and Miniature Painter), Hone, Nathaniel The Elder (Portraits & Miniatures), Hussey, Philip (Portraiture & Interiors) Ingham, Charles Cromwell (Portrait Artist), Jervas, Charles (Portrait Painter), Latham, James (Portraiture) Malton, James (Architectural Draughtsman, Engraver) MacDowell, Patrick (Belfast Sculptor) Morphy, Garret (Landscapes and Genre Scenes), Mullins, George (Claudean/Italianate landscapes) Mulready, William (Rural Artist and Genre Painter), O'Connor, James Arthur (Landscape Artist, Illustrator), Petrie, George (Painter,), Roberts, Thomas (Landscape Painter), Roberts, Thomas Sautelle (Romantic landscapes) Sadler, William II (Landscape Artist and Illustrator), Shee, Martin Archer, SIR (Portraits) Stuart, Gilbert (Portraits), Walmsley, Thomas (Landscape Painter), West, Robert (Figurative and Landscape Works,) West, Francis Robert (Draughtsman) West, Robert Lucius . 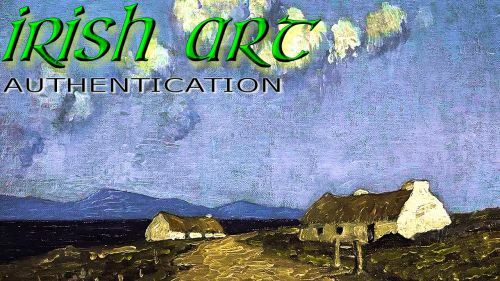 Irish, Irish art, Irish art authentication, Irish, Irish art, Irish art authentication, Irish art fraud, Irish fake, Irish forgery,Irish forgers, Irish art fraud, Roderick O'Conner fake, Roderic O'Conner, Roderick O'Conner expert, William Leech, Sir John Lavery, Francis Bacon, Jack B Yeats, Sir William Orpen and Walter Frederick Osborne , William Scott, Frank O'Meara, Rowan Gillespie., Swanzy, Colin Middleton, William Conor, Gerard Dillon and Louis le Brocquy. Frederick Edward McWilliam, Tony O’Malley, Daniel O’Neill, Sean Keating, Leo Whelan, Tony O’Malley, Patrick Collins, Markey Robinson, Letitia Hamilton, Harry Kernoff , Maurice Wilks.